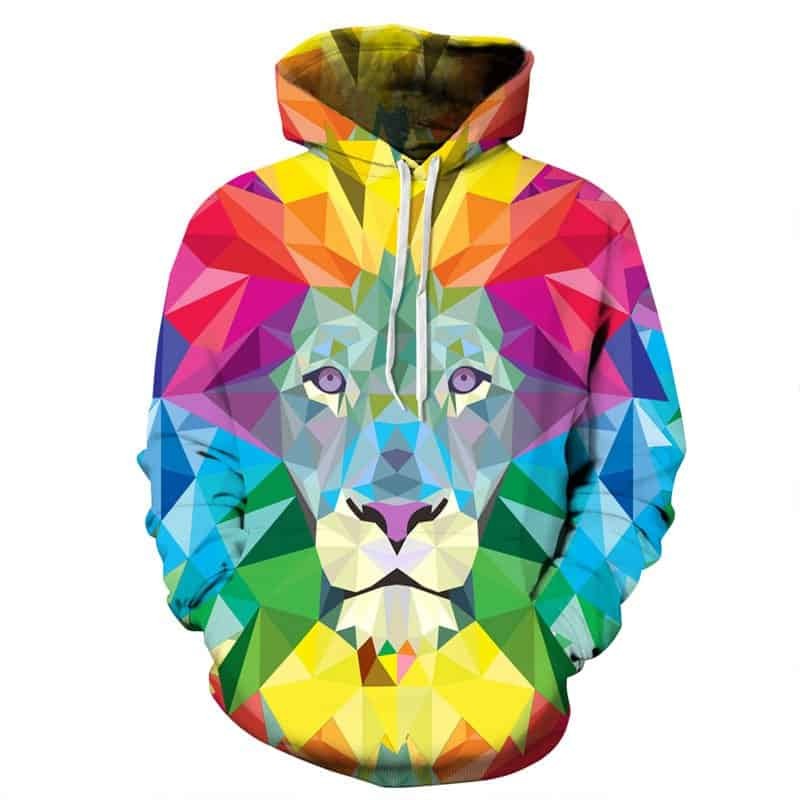 This colorful lion hoodie is a best seller of ours. 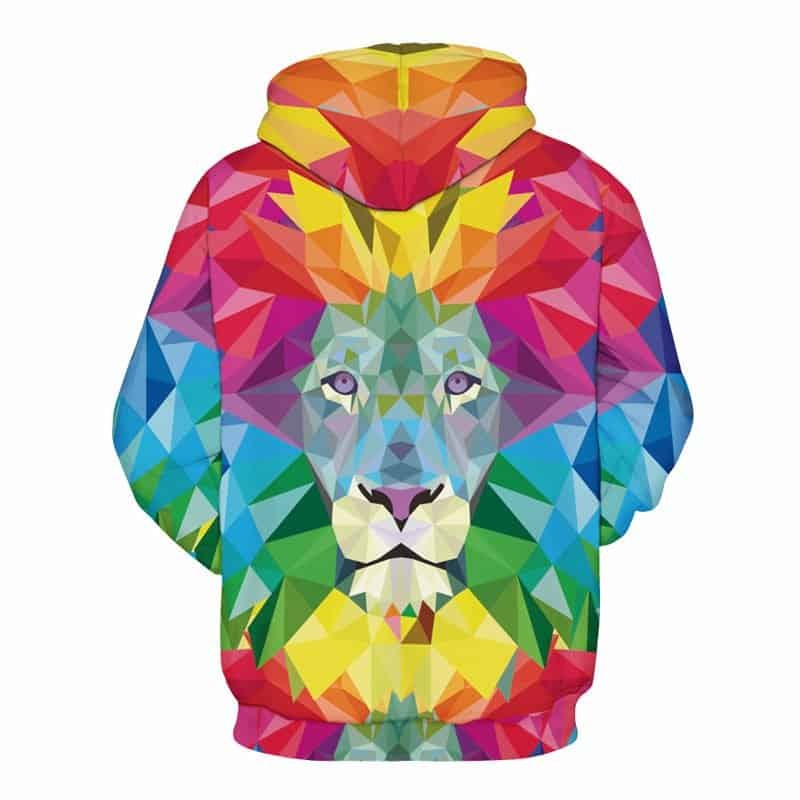 With bright rainbow like colors and designed in an abstract pattern, this hoodie makes a powerful impact with the lions head in the background. Stylish and eye catching. The hoodie is comfortable to wear, looks fashionable and is wearable anywhere. It was designed for both male and female. Sweatshirt is great. It fits small so order a larger size. I’m traditionally an Large or XL. I ordered a 2XL and it’s a little snug – but overall very happy and item was as described.